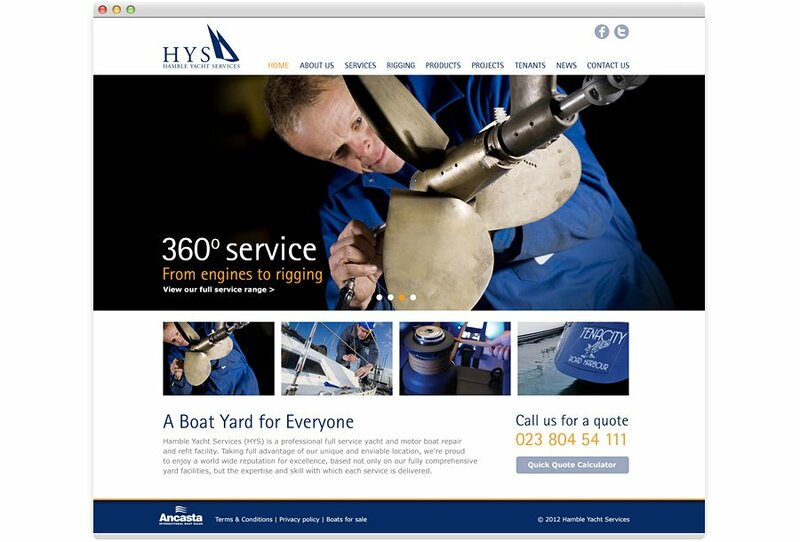 Hamble Yacht Services (HYS) is a full service marina based on the river Hamble. They needed a website that would work a lot harder for them. 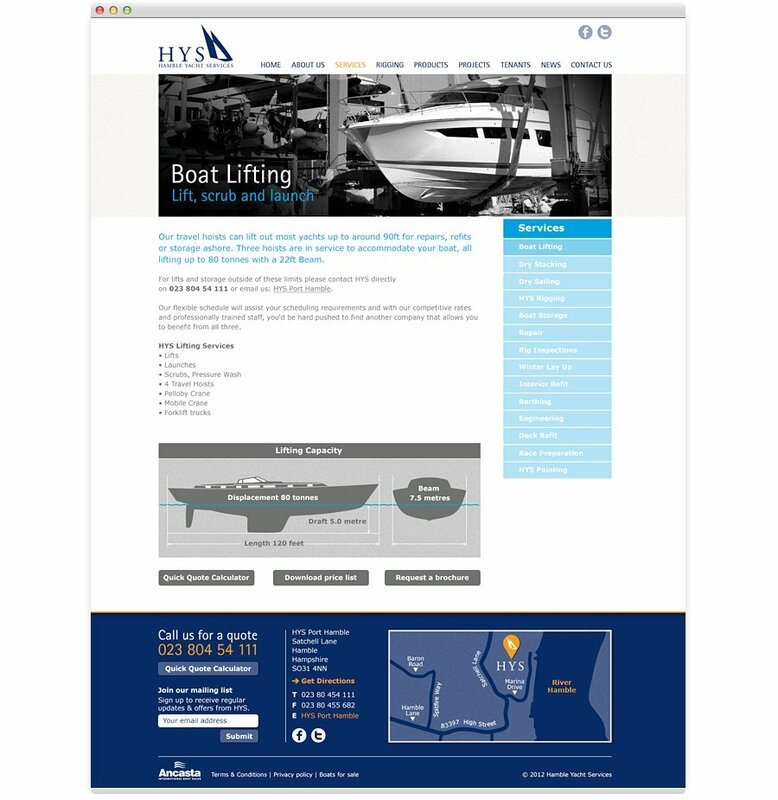 We wanted to give the site a very visual feel to show not only what HYS can do, but also to give a nice lifestyle feel.